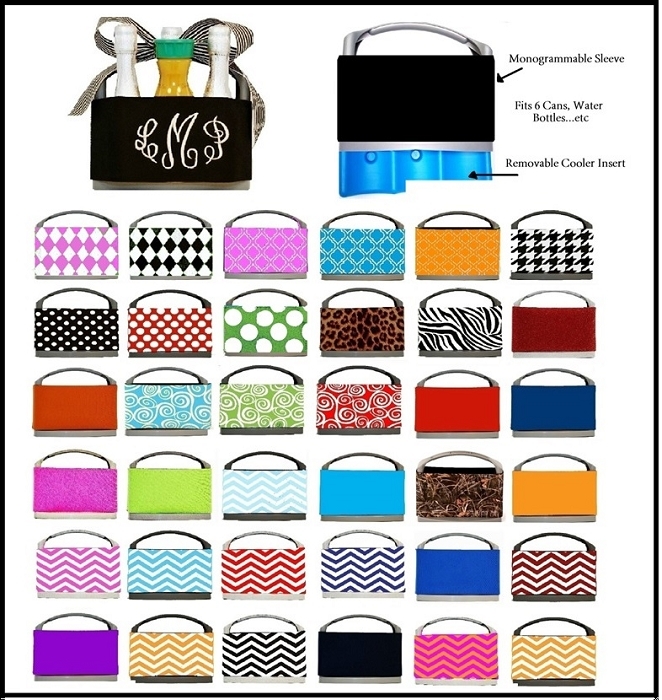 6-Pack Coolers are practical & perfect for tailgating Dress up your 6 pack cooler with a monogram or logo.Can be personalized on neoprene band. Just place 6-Pack cooler in the freezer a few hours before use & the built in ice cooler keeps your drinks cold all day. 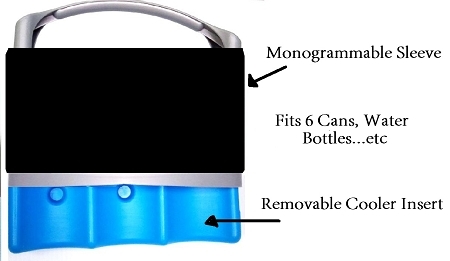 Carry your six pack cooler of beverages with you as you travel to beach, party, picnic etc. The 6 pack cooler is perfect for the beach...after receiving one as a gift I have ordered so many for gifts for my friends...everyone loves them.